Our Glastonbury child care sites have been very competitive in our site challenges, to benefit the Strong Kids Campaign. Over the course of several months we ran our SKC Sites Derby in which the sites earned points for parents & children participating in various fundraising events. Lindsey Mullen is our site director at Hebron Avenue School. This year Hebron Avenue won the site challenge. Kristen Pollard our Executive Director proudly presented Lindsay with a check for the things she would like to purchase for her site. While walking into our after school program at Buttonball School on Wednesday, I noticed many posters hanging up for Author’s Biography Day being held on Friday at the school. It is amazing to see what a great job the children have done. Once everyone came in & got settled, the children were asked to get their homework. As they were doing this, I asked them who was participating in Biography Day. They responded; it is the entire 3rd grade class. Each child has to stand in front of the class and do a presentation about the author of their choice, to include dressing up as a character the author wrote about. Then the other children in the class have to guess who this person is. I asked a variety of them who they chose and why. As we started talking about the choices they made, the third graders decided to practice their presentations. The other children started to gather around to listen. It was great fun to watch them get so excited to see who could guess the name of the author they were talking about. At the same time, they were all sharing the knowledge they have learned. 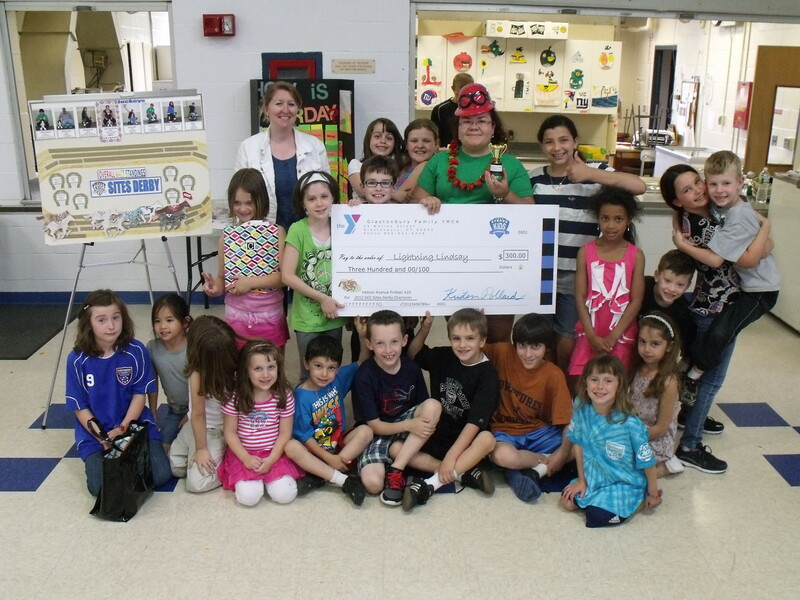 It’s great to see how they have the opportunity to come together at the Y and participate in each other’s projects. Occasionally I get the privilege to fill in as a counselor at one of our after school sites. I just think these kids are terrific. One day the weather was lousy outside and the children could not go out to play and run off some energy, needless to say the cafeteria was buzzing with excitement and the younger children were in need of something to do. As the staff was getting ready to organize a game, some of our 5th graders came up to me and asked if they could read the younger children a story. I said “perfect timing! !” I was so impressed, It was so nice to see the older children noticing that they can make a difference with the younger children & wanting to participate in a calm activity. It was awesome! Changing the lives of children, one child at a time! One of our eighth graders that has been participating in our play production for the past four years, mentioned to our program director Betsey Pitt that when she first started @ the Glastonbury Y, she felt she was socially awkward and did not have any friends. This young girl wrote a “Hero Poem” for English class stating that Betsey & Camille had changed her life through their mentoring over the years. She no longer feels socially awkward, and has the self-confidence to achieve anything she sets out to accomplish. Thanks to Dave Carfora for leading our toy drive that our Glastonbury daycare sites participated in. They were given a letter of recognition byThe Glastonbury Department of Social Services, for our support in the Annual Holiday Toy Shop collection. There were 160 families that participated to include 323 children! We really appreciate the generousity of all who donated in helping the needs of others! Two clients came into the Glastonbury Y last week to ask if we were a full facility Y. They were looking to work out. I asked them where they lived and they were from Manchester. As our branch is not a full facility Y, I referred them to Indian Valley and told them it was a brand new facility that is awesome! They came in this week and thanked us for referring them. They really enjoyed their experience!